Poor Hemingway has a horrible reputation. However, his Fiesta: The Sun Also Rises rings with the echoes of the first world war. The description of fireworks, if read out of context, could be describing trench warfare. Our protagonist, Jake, spends the time moving from bar to bar and then country to country, getting drunker and failing to become satisfied because how could fishing and bull fighting satisfy a war veteran? The outward movement and joy Jake exudes are the opposite of what he feels. A deeper look into this novel sees past the surface into the post-war breakdown of many veterans. Hemingway was a Modernist who was at the centre of the movement. We see the influences of Stein – how told him to start again when he asked her to read it over – and the movement towards a purging of the language, and, in repeating, to manipulating words, and really looking into what an author can do with these words. Hemingway’s protagonist is more than just a character; we know that the author himself fought in the war and then moved to Paris; as Jake did. We know he was an avid bull-fight spectator and fisher; much like Jake. 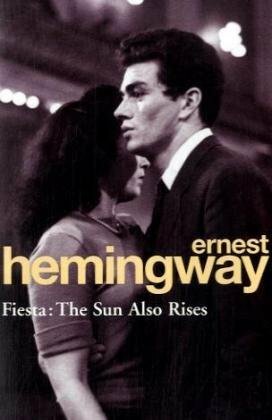 And in hindsight we know that Hemingway’s experiences in the war left him so discontent with anything life had to offer, and yet so disturbed by what he had seen, that he eventually committed suicide. While Jake might not do this, we can draw parallels with their experiences in WWI. While reading a book purely under the knowledge of its author and assuming author-ity can detract from other readings and can narrow the impact of a novel, in this case it definitely should not be ruled out. Because what, on the surface, is a shallow, repetitive, violent novel, is in fact so much deeper than that.